I remember the first time I heard about him, his name was pronounced ‘Lay Paul’ to me, and it was a while before I figured he wasn’t French, and his name didn’t mean, literally, ‘The Paul’. The next thing I heard was how he asked the doctors to set his right arm (shattered in an accident) in a permanent guitar-playing position. This was good stuff – a tribal rite that impressed the hell out of a 16-year-old wannabe guitar player. Endurance of great pain and a deliberate deformation just so one could keep playing? Wow. This guy was way cool. I didn’t know about his contributions to multitrack recording and effects (delay, reverb, etc) till I started mucking about with recording myself. But I did know that without the Les Paul Log, I would probably be playing a very different kind of electric guitar. For so many of us who believe we are defined by the instruments we play, that’s really something. The Gibson Les Paul, much like the Fender Stratocaster, is one of the most enduring images of modern rock and pop music. It’s a quintessential ‘electric guitar’. With it, you can change the world. With it, you can wail, growl, cry, scream, beg, and love. At least, that’s how it still feels. Thanks, Les. Took a while to learn how to say your name right, but to me, you’ll still be ‘The Paul’. In Kodungallur and Latur and Dibrugarh, they don’t know of Van Halen or U2, Beyonce or Bobby McFerrin, Bob Dylan or John McLaughlin, John Denver or Kid Rock. Heck, they don’t even know the Beatles. But they know Michael Jackson. And they know he is dead. It was the day we were afraid to wait for. It was the day we thought would never come. Or if it did, that it would go away without bothering us. It was the day the Internet almost died. It was the day that has completely washed away the tears that are being wept for Farrah Fawcett. Hacks have been ready with MJ’s obit for nearly a decade. Which explains why the ones you read in The New York Times and The Washington Post are so meaty. All they needed to add was a paragraph on the day and time of his death, and whisk up a soapy ending. He was perhaps the most hunted celebrity of all time – in fact he demonstrated, with his life, the glory and the anguish of celebrity. He was condemned to enjoy no private moments – his life was the original Truman Show. But, because he is gone, we shall not remember MJ for his foibles – for the black skin turned white by willful vitiligo, for the prosthetic nose that slipped off during an interview with one of many media vampires, for his uncomfortable marriages and his alleged paedophilia, or for his escapades around Bahrain in a burqa. Those shenanigans will soon be forgotten, for MJ was a rarity among celebrities – he was the soul of innocence, a child all the way. As NYT put it, he was “the Peter Pan of pop music.” It is only a matter of technicality that he died at 50. And, most of all, we will remember him for his music. And for being a performer without parallel or peer in mediated history. Proof, apart from everything else in his life, lies in the musical legacy he leaves behind – ten albums, of which six were bestsellers from the moment they hit the shelves. Many a child growing up in the 1980s has attempted the moonwalk, or the patented anti-gravity lean he used in the music video for Smooth Criminal, and blanched at the urban legend that Jackson broke a few ribs just dancing. And many of us, now with more grey hair showing than Jackson ever did, may still feel a hot flash of adolescent adrenalin coursing through our tired veins when we listen to Thriller, or Bad, or Beat It. 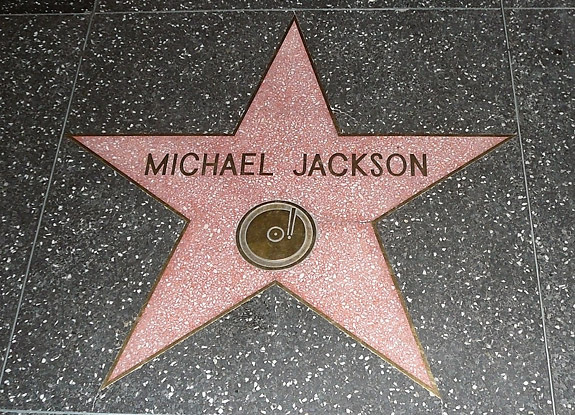 As with the great legends of music who never die, Michael Jackson shall live on. MJ can never be mourned, only celebrated. May he go in grace. And we, for our part, shall remember the time when we fell in love. Wrote this yesterday on my blog and cross-posted here. I remember spending the whole of Monday in a vague state of shock. I did not know Leon Ireland very well, but the little time I had spent with him was enough for me to know that he was a special person. As the vocalist and frontman of Moksha he had few equals in this country. He will be deeply missed. Tony’s spent a lot more time with him, playing bass with Moksha, and so it is only right that he writes what follows. My eyes still ache. From trying not to cry when people were around, and, more often than not, failing. How do you mourn the passing of a hero? Leon was a hero to me. And probably to you too, if you’re reading this. He saved you, me, and this country from bad rock and roll, bad singing, and bad attitudes which were a usually a substitute for both of the aforementioned curses. From the first time I saw Moksha, I was blown away by the stellar vocal performance that Leon put on display. His showmanship was at once so subtle yet so obvious that you could feel it, but you probably wouldn’t be able to point out why he had so much control over an audience. In my opinion, it was his body language on stage. It was as if he were saying “I’m know I’m blowing your minds, and I’m having myself a ball doing it.” Effortless. That’s one adjective that comes to mind. I suppose the ease with which he sang anything gave him the power that he had over his audience. And they were always his audience. They knew as well as he did that he could pull off everything that he pulled off. Effortlessly. Shortly after I became a fan, I had the opportunity to go all around Bangalore in the back of an open van, distributing flyers to colleges, and sticking posters everywhere, advertising for a Moksha show that was going to raise funds for elderly people who could not support themselves. This was when I got to meet him for the first time. I was a little nervous, but I could not let the opportunity pass me by. I was greeted with a warm smile and warmer conversation, as we discussed the Christy’s lovely guitar, the state of rock music in India, and the fact that he was influenced as much by Nat King Cole as he was by Gary Cherone or David Coverdale. No airs. No attitude. No glam. Just a simple, down-to-earth man. I sheepishly mentioned that I too was jamming with a drummer and that we were trying to put a band together. “Maybe we’ll open for you guys someday”, I said, starry-eyed fan that I was. “Hey who knows, maybe someday we’ll open for you!,” he replied. I suppose when you know you’re the best, you don’t need to try to prove it to everyone by hiding behind some sort of fake superiority complex. And when you’re Leon Ireland, you don’t even care that you are superior. It wasn’t about being superior. It was about giving it your all. He always did. A little over a year ago I went down to Madras to audition for the same band for whom, 6 years prior, I was handing out flyers! I was nervous to meet everyone, especially Christy. Being a guitarist, I always found it tougher to play under the scrutiny of another guitarist. Now I was going to have to play in front of one of the country’s best! But also present at the audition was Leon, who met me again 6 years after our first meeting. He had this endearing warmth about him ( like a good tube amp ), that puts you at ease immediately, and then you feel like you’re talking to an old friend. So despite auditioning in the presence of one of my favourite bands, I was a lot more comfortable than I expected to be. I think it was finally Leon who got me the gig [ Thanks Leon ], because he kept making expressions while I was playing as if to say, “Oh.. that was nice!” Just as an encouraging father would do, even if his child were playing rubbish! Then we were in a band together, and suddenly my hero was my friend, my brother, and still my hero. All rolled into one. If you were to meet his family, you would know how a person like him gets moulded. The way he spoke to his doting mother, the way he would behave so cheekily with his lovely wife and sister-in-law, the way he would play with his doggie, all gave me more of an insight into who he was. He was surrounded by love. I found myself getting more and more attached. He was still larger than life to me though. I think our heroes always are. The only difference was that I now saw a proportionately large heart. He was always the entertainer, making us laugh even if it meant we were laughing at him. Since September of 2005 I have gone on to play many shows with Moksha, travelling to many parts of the country. I don’t know if the kind of bond that this experience creates between the musicians in a band can be described to anyone who hasn’t done it. If I were to describe it, I would say it is fraternal. You become like one big family. But it’s a little better than that because you get to choose your family members. I wish I had the chance to choose again. Leon, whose eyes conspired with his smile to twinkle with mischief, betraying that he was the youngest child in a family that pampered him lovingly. Leon, whose voice sparkled with crystalline beauty, only to turn into a molten bluesy whine, before ascending into a heavy-metal scream! Leon, who would sit and talk with me about so many things, never being able to conceal a genuine concern for the state of the world and where we’re headed. Leon, whose voice touched as many lives as his heart. Leon, who would push an asthma attack aside for the duration of a gig, so that you couldn’t even tell there was anything wrong. Leon, with whom I’ve eaten Sunday breakfast, sipped on cups of tea in a Roorkee winter, and prayed in our backstage huddles. Leon, who would compete with me to see who could make worse puns. Leon, whose hugs really meant something special. Leon, who was gifted to us and snatched away too soon for us to try and prepare ourselves. I hate that I will always have to say “was” from now on. I hate that I’ll never be able to hear him sing any of my favourite songs again. I hate that I was never good enough to deserve to play bass for him, despite his constant encouragement. I hate that the generation of kids just getting into rock and roll will never know what they missed. I hate that I never told him how much I admired, respected and loved him, because I took it for granted that he already knew. But I love that the angels are probably dusting off and restringing their long-unused axes, taking crash courses in drumming, trading in their wings for synthesizers, cranking their amps up to infinity, and just rocking out!! I wonder what a harp fitted with a DiMarzio would sound like through a Mesa/Boogie?